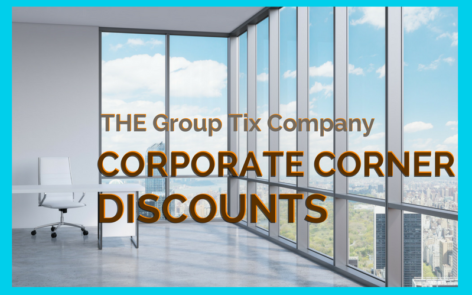 A group sale is defined as a ticket order for a singular performance, meeting at least the minimum group ticket quantity required by a production. All sales are final. No exchanges, refunds or cancellations. Some restrictions apply. Payment policies may vary. All group ticket purchases require a 20 % non-refundable deposit to be paid within 2 weeks of booking date. For orders over 75 tickets, a total deposit of 30 % is required at time of booking. Full payment due 8 weeks prior to show date or otherwise specified. Any order booked within 8 weeks of the performance date must be paid in full at time of booking. Please call the Group Sales Office for more information. Payment policies are subject to change on a show-by-show basis. Notice will be given prior to any changes to the groups’ payment policy. Payments can be made by Visa, MasterCard and American Express (some conditions apply). Tickets will be mailed upon receipt of payment. Tickets will be couriered to the client at their expense unless other arrangements are made. General Terms & Conditions All ticket prices are in Canadian dollars and include applicable taxes and CIF. Service charges apply. Offers not available at the box office. Offers may not be combined with any other offers and are not applicable on previously purchased tickets. Offer may be withdrawn at any time, without notice. E.&O.E. Due to the nature of live theatre, pricing, venue, performers and schedules are subject to change without notice.